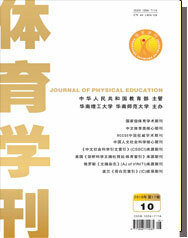 Abstract:This paper, through investigations and documents,studies the positioning and subdivision of the sports tour's target market in Sichuan province.It is concluded that, while developed, the sports tour in Sichuan should pay enough attention to the items' entertainment, bodybuilding, participation, stimulation and nature at present. Considering the region, it should be based on the local market, try to explore markets in other provinces and do effort to struggle for the international market. Considering the class, it should face to the middle-class emphatically. Considering the rich class and pay close attention to the low class. Considering the age, it should face to the middle-aged people emphatically, consider to the old man and pay close attention to the young. Considering the price, it should emphasis on the development of the middle and low quality below ￥500 and popular product.